Description: A free customizable main idea and details template is provided to download and print. 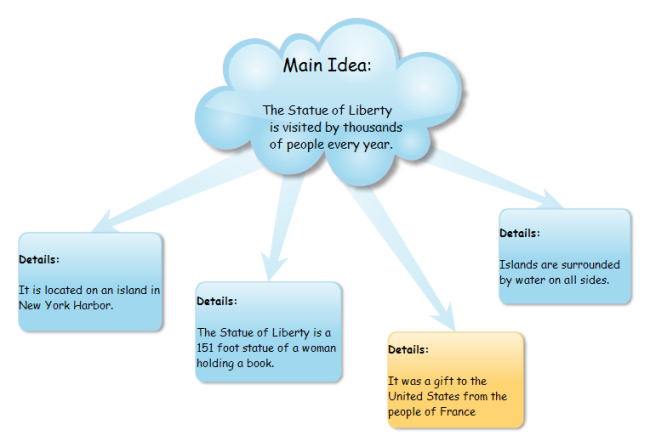 Quickly get a head-start when creating your own main idea and details chart. No need to waste time on searching elsewhere, or drawing by yourself.